Rain, snow, sleet, or shine (unless it’s a snow day or a weekend), Lower School’s first grade sells stamps, collects, sorts and delivers mail to the entire school for a full month! 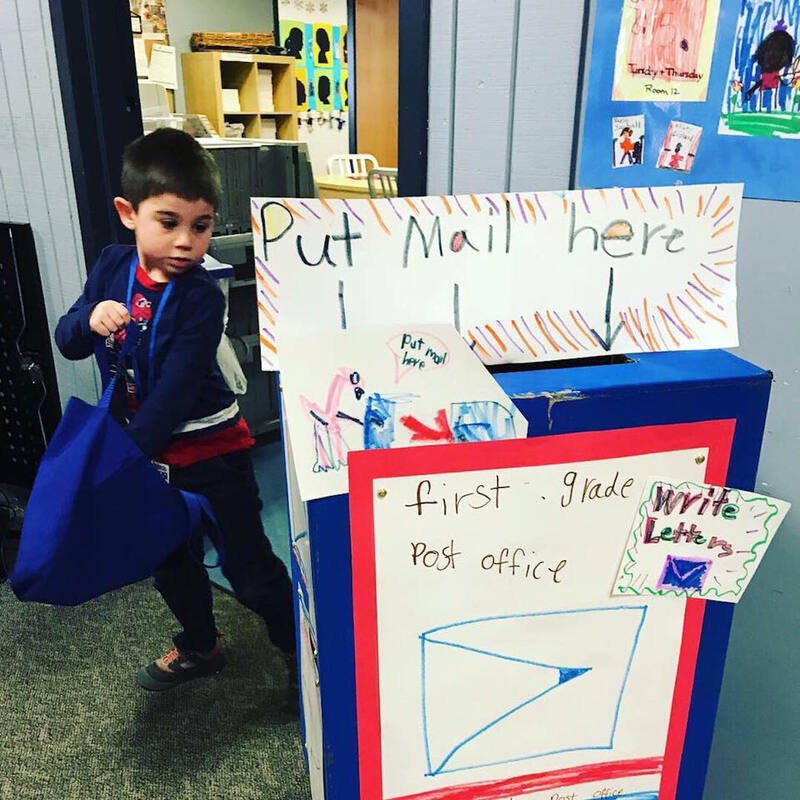 First Grade Teacher Kathy Lopez told This Week that the first grade post office supports many areas of learning including math, where children learn to count by tens and add and subtract for customer stamp transactions. Students also learn organizational, editing and reading skills as they must check each letter to make sure they are addressed correctly, then date stamp and cancel pieces of mail and finally sort them for delivery. All the stamps for sale at the post office were designed by first grade students. They each drew a portrait of their hero, providing an opportunity for the children to tell the story of selecting their personal hero to customers. Students also used their fine motor skills to cut out each individual stamp ,and prior to opening the post office for business, they had the opportunity to see some of the jobs they’d be taking on in-action at the Elkins Park Post Office! Students have been engaged in learning the absolute power of words and the practice and importance of letter writing, as they send and deliver messages throughout the school.